Dennis Pearson with Donald Trump. 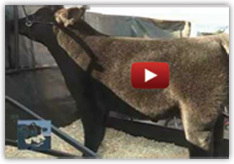 Gillispie Show Cattle Dream Catchers in Cowtown Online Sale is now posted! Reserve Champion Prospect Steer Sire: Thriller Dam: Monopoly Sold by: Glover, Fuss Congratulations to Mayce Cooler! No Photo Available Champion Prospect Market Steer Sire: MAB Sold by: Brad Ewing Congratulations to Katelyn Humeeumpetwa! SNOW PRINCESS-DAKOTA GOLD !!! SELLS DECEMBER 28TH WEDNESDAY ! !